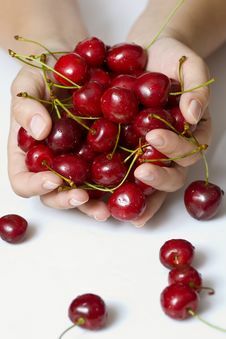 Cherry In Hands Sweet Cherry Sweet Cherry Woman With Crockery Of Cherries In Her Hands. 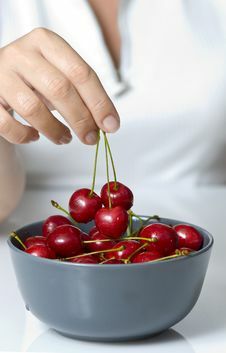 Woman With Crockery Of Cherries In Her Hands. 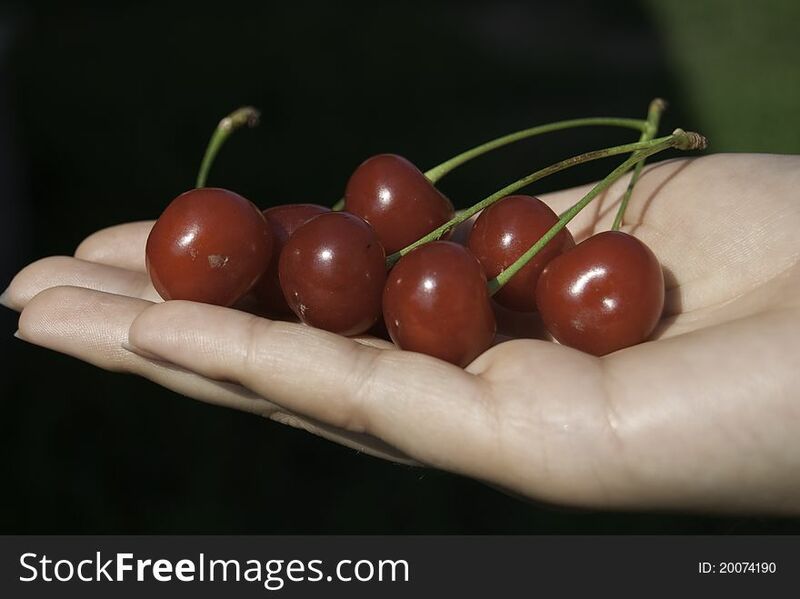 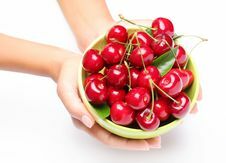 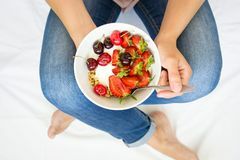 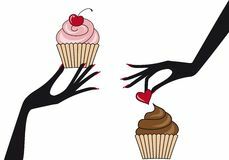 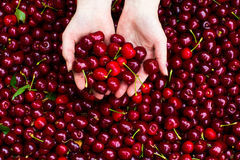 Crockery With Cherries In Woman Hands.